It hasn’t been voted on and approved yet, but it’s in the pipeline. There are a couple of proposals bouncing around in Washington. 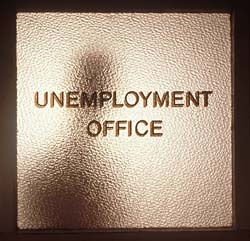 One is to provide 13 additional weeks of benefits to people in states with unemployment rates higher than 8.5%. With California at 12%, it would clearly qualify. Another proposal is to grant four more weeks to unemployed persons in all states, and 13 additional weeks for those in states with high unemployment. Again, California would most likely qualify. In addition to current benefits, that would allow someone on unemployment to collect monthly checks for almost two years. Nobody knows what the final number of weeks will be and for which states, but it’s clear that those collecting unemployment will get an extension in benefits. There are many people, and families, that legitimately need this assistance. They are actively looking for work in an economy where work is scarce. For those people, I can appreciate how much this money helps then squeak by. There are many others however, who do not need this assistance but gladly take it anyway. If we take a serious look at ourselves in the mirror, we know we can cutback quite a bit if we have to. We can stop eating out and cut out cable, downsize where we live or move in with family, sell a car, tap the savings account or cash in some investments. The truth is, most of us have room to cut back, a lot of room, but it hurts. We don’t want to. And as long as there is some type of wealth-transfer welfare system that delays or prevents someone from making those cuts that need to be made, then all we do is spend working people’s money to subsidize unemployed people’s lifestyles. Another problem with unemployment insurance is the moral hazard it creates. If you deduct for federal and state income taxes and a 15% contribution to a 401k, then the current payout on unemployment insurance is equivalent to having a job that pays about $30,000 a year. Someone making $30-$35K a year, or whose standard of living fits that income level, could duplicate that income by taking unemployment checks for two years and the whole time not do a lick of work. I know someone who was lucky enough to work for an individual who warned her repeatedly for six months in advance that she would likely be cut in the next round of layoffs. She had all that time to look for a job while she still had income. What did she do? Nothing. Waited for the layoff to happen so she could collect the severance check and skate on unemployment for 1.5 years (well 2 years now). While you’re at work, she spends her time at yoga and trips to her vacation house in Big Bear (her, I believe, paid-off vacation house). I can’t imagine how many people are out there taking vacations, visiting family, buying electronics, paying off their car, saving for a house, downloading music, upgrading their TV…all on YOUR tax dollars that you make while you are at WORK. People will be people. We can not change human nature. What we can change, is government enabling this behaviour at our expense. That is the core problem with unemployment insurance. And their spending spree just got extended.